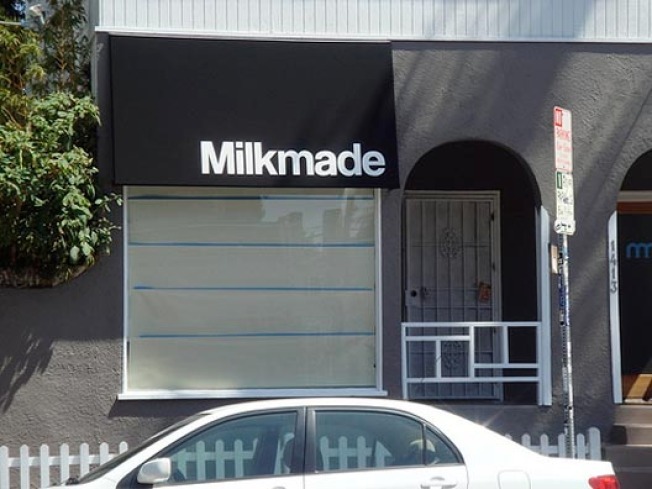 We get a bit more info on new men's and women's boutique Milkmade opening on Abbot Kinney in Venice this Saturday. This is owner/buyer Brian J. Lee's first shop, which he told Racked will carry "men's & women's clothing and accessories from a rotating roster of domestic and foreign labels." For fall/winter '08 and spring/summer '09, shoppers can look out for labels such as House of Cassette, Trovata, Corpus, What Comes Around Goes Around, Endovanera, The Vael Project, Spindle & Canister, STORI Sac (UK), PRELOVED (Canada), Vanishing Elephant (Australia), NAVY by Sakyo Komatsu (Japan), Kobo (Japan), and StillFr (Japan). Abbot Kinney is upping its ante of boutiques with substantial men's and women's offerings between this and the Steven Alan Annex, which opened with a bang in June.